What a Rally! 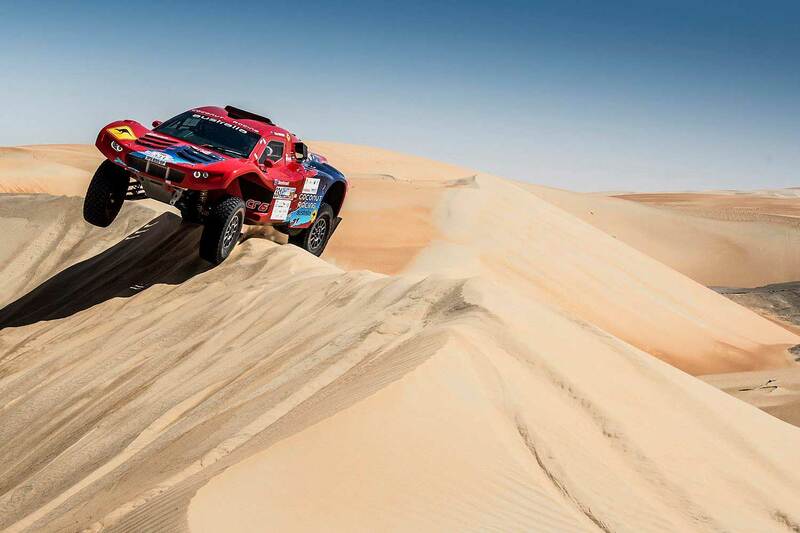 After only two days the field is mixed after one week of Dakar - the Dunes is this year are tougher than expected. Only 6 cars inside the Top 10 are less then one hour from each other - and more than a third of the starters in the Cars and SSV are far away to have a chance on any interesting result. Former Dakar-Bikewinner and Peugeot-factory driver Cyril Despres together with navigator Steve Ravussin is running well with his SMG Two Wheels Drive Buggy. 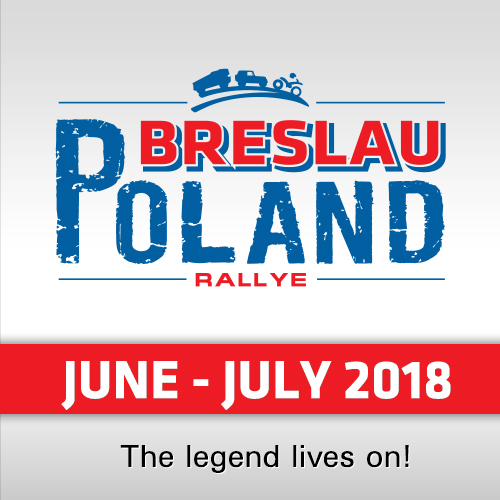 In the second stage he could reach the 3rd position in the stage in 04:11:40 hours only 16:25 minutes behind the stagewinner and overall the Buggy-crew now climbed 5th with 07:38:23 and only +19:16 mins to leader Martin Prokop. Nice action: Despres and Ravussin stopped next to steh stucked X-raid driver Jakub Przgonski and helped them out. 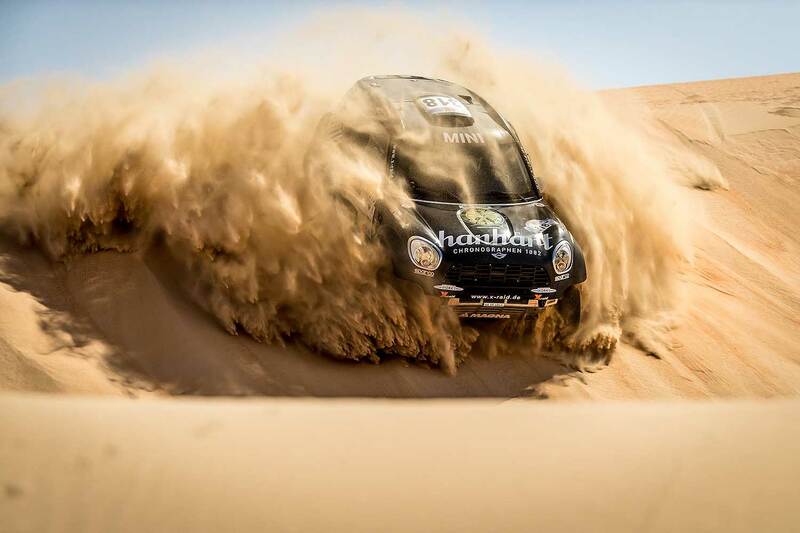 "We started with a pretty good pace, overtaking a few cars stuck in the sand and being careful not to get caught when driving down the steep slopes," Despres reported after the stage. "About 100km from the finish, I ran out of water and started to feel dizzy and dehydrated, so we had to slow down a bit... But we’re pretty happy with our 3rd place and 5th overall with 3 stages remaining. Looking forward to it!" 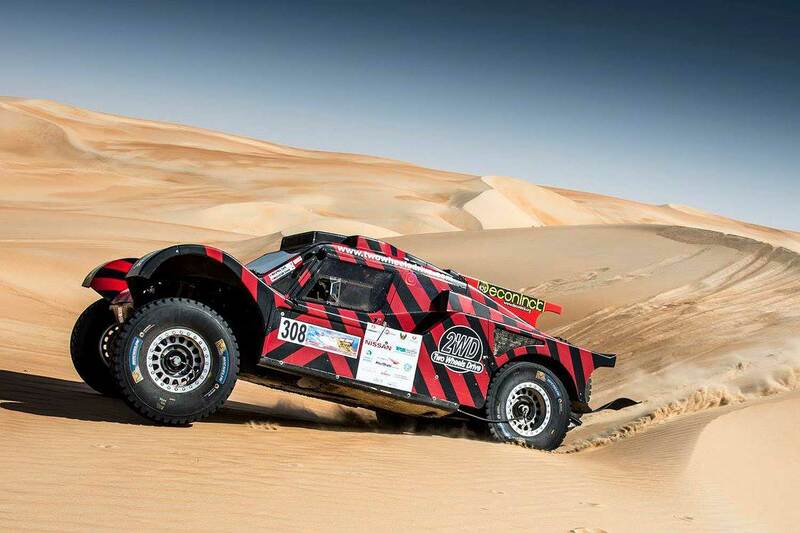 For the Australian Buggy-Team of Luke Olholm and Dale Moscatt the second stage was really surprising. The crew finished the "Nissan"-stage with their South African built Century CR6 Buggy on 6th position in the daily rankings with 04:27:52 hours, just +32:37 behind the stagewinner Martin Prokop. Overall they are now 15th with 09:51:00 hours, +02:31:53 hours behind the winner. "The start of the serious dunes," the team reported. "Today was a long and tough stage with a majority of slow-going dunes that took their toll on a lot of competitors. Our guys had a fantastic run, managing to go smooth and consistently without and mechanical issues and without getting stuck once. Unfortunately Luke suffered a bit of dehydration and motion sickness but they still managed to come in 6th fastest overall, punching the guys back up to 14th outright"
For the South African built Red Lined Nissan Navara, in Abu Dhabi operated by Sabertooth Motoring, it was again a day with mixed emotions. 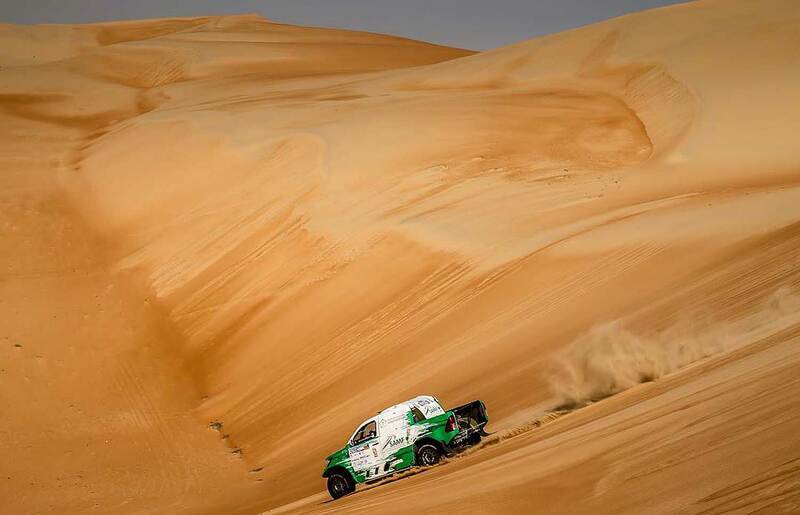 Good for the business but bad for the results were the two rolled Navara of the Saudi Arabian Essa Al-Dossari (ED Racing) and the South African Shameer Variawa (Team SVR). Both were not injured and they maybe will continue the race today (Tuesday). And also Thomas Bell in the third Navara didn´t reach the finish in time. Best Red Lined Nissan is now the car of "The Boss" Terence Marsh on 10th place (09:07:17 hours, +01:48:10). "This was definitely one of the toughest stages that I have raced," reported Terence Marsh after the stage. "The 290kms of dunes were just relentless! They are really complicated and totally inconsistent and as such you can never ever get into any form of rhythm... never mind the fact that the colour of the sand differs through the stage where the white sand during the middle of the day makes it almost impossible to see the lines or gradients!" "External temperatures were in the 40's and to add to the day's difficulty I suffered from some motion sickness with 80km still to go in the stage. Needless to say I was slightly green around the gills when we eventually finished! 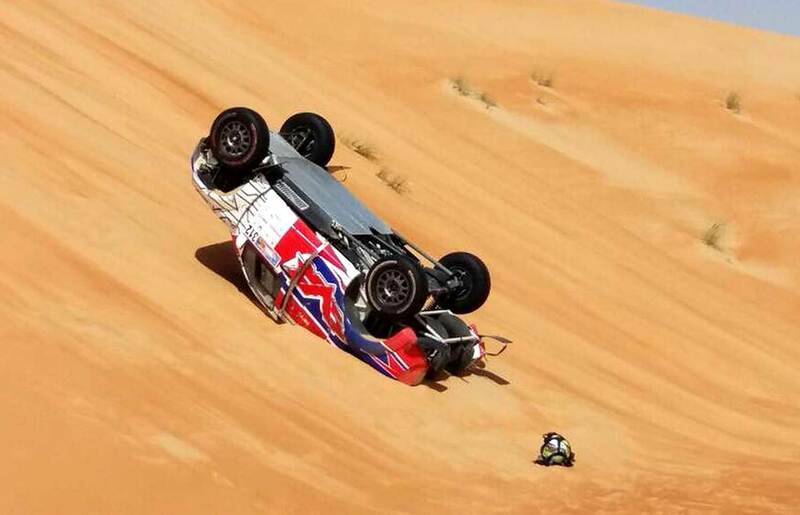 With still 3 demanding stages left in the dunes of the Liwa Desert there is still a lot that could happen. Myself and Riaan are now lying 10th overall with a 280 km stage ahead of us tomorrow... one day at a time I say! The adventure continues!" New and old competitors in nearly same cars: This is always good for a surprise. Poland´s Jakub Przygonski, leading the FIA World Cup, is showing a great pace and fighting for the overall win only 10:30 minutes behind the leader Martin Prokop. 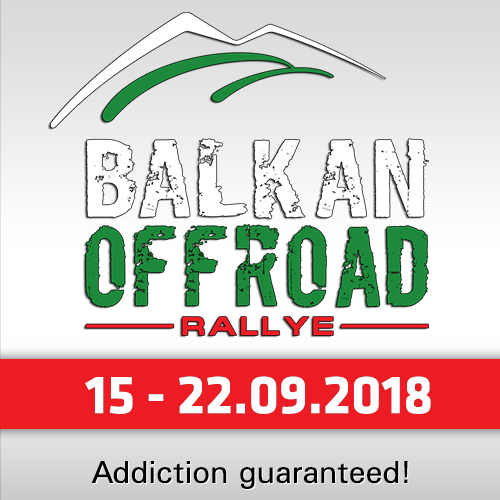 Privateer Vladimir Vasilyev from Russia is following on 6th position with +41:49 mins, surprisingly good also the "old school privateer" Stephan Schott (who likes and knows the UAE very well) on 8th (+01:32:49) and X-raid newbee Eugenio Amos 9th in his X-raid debut (+01:43:36). 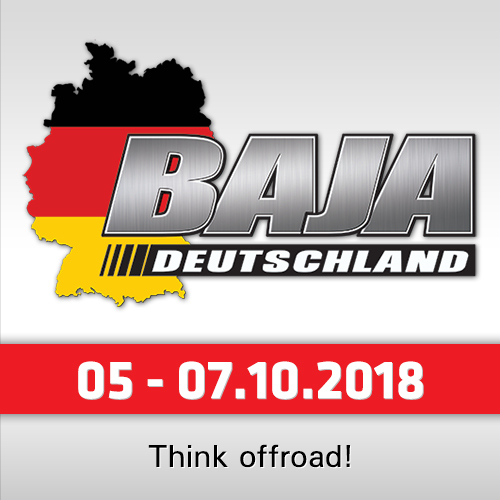 Rallyraid- and Desert-newbee Chris Rosenberger from Austria is learning and 18th with +03:05:07, Luc Alphand (in the only X-raid Mini Buggy) had bad luck as 23rd (+09:11:45) and Yazeed Al-Rajhi officially 32nd with +119:42:01.